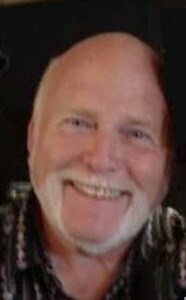 Gary Lewis, 75, of Topeka, passed away Saturday, January 12, 2019. He was born June 30, 1943, in Topeka, Kansas, the son of Elmer and Grace (Vaughn) Lewis. He attended Topeka High School and continued his education at Washburn University. Gary retired as a plant manager with Lindyspring Systems working for them for over 30 years. Gary married Rita Dolsky on September 26, 1964 in Topeka, KS. Survivors include wife; children Gary (Angela) Lewis, Brian (Christine) Lewis, Rochelle (David) Finson; grandchildren, Christopher, Michelle, Morgan, Madison, Meredith, Mitchell, Chelsea, and Samantha; 5 great-grandchildren; sister, Erma (Bob) Pater and niece/daughter, Tracy (Randy) Shideler. He was preceded in death by his parents. He loved camping, grilling, shooting trap or clay pigeons. He enjoyed all things mechanic and electronic; flying radio controlled planes and working on them. He enjoyed riding motorcycles and old cars throughout the pasture with his family. He was a true family man, loved spending his time with them and his beloved dogs. A Celebration of Life will be at 10:00 a.m., Thursday, January 17, 2019 at the Parker-Price Cremations, Funerals & Receptions, 245 N.W. Independence Avenue, Topeka. Memorial contributions may be made to the family in honor of Gary to help with funeral expenses. Please join the family immediately following the service for a reception at Parker-Price Reception Center. To leave a message for the family please click, the “Share Memories” button above. Add your memories to the guest book of Gary Lewis. Gary was a good man. A very good man. He gave me a job at his Phillips 66 station when I was working my way thru college in the early '70s--even tho I knew next to nothing about working on cars. But he patiently taught me how to do things like tune-ups, repack wheel bearings, suspension repairs, and change the oil and filters in the big milk delivery trucks while lying on my back in the snow on the concrete parking lot. Yes, it was cold. And I was terrified fixing flats on the split rims, but I learned to be careful. I always stuck a shop rag in my back pocket to wipe my hands on, but I would always forget about it at the end of my shift. Gary would reach out and grab it as I was on my way out the door. But I'm sure I cost him money for the ones he missed. Once there were some bad feelings between me and another employee. He sent the two of us out to work together on a call, hoping we'd work things out between us. We did. Smart man, good boss. I wish I had had more contact with him over the years since, and I'm sorry he's gone. He really was a good man--a warm, friendly, welcoming man with a good heart--and I'm privileged to have known him. Karen and I send our deepest condolences. I remember, as if it were yesterday, how you, me and my brother Jack, would play in your backyard and, if my memory is correct, we 'borrowed' srawberries out of your mom's garden. What fun. I know you are in God's hands and with your mom and dad, and all the Vaughn family. Always loved visiting with Gary and Rita up at the compound as our family called it. We could sit and talk for hours about things our families did when we were kids. We enjoyed the Halloween, 4th of July and family times there. He was so proud of that last motorcycle he bought. He loved his family and I am so glad that you all spent time with he and Rita. I will miss him always greeting me as his favorite cousin. I remember that he could fix about anything, just like Uncle Elmer. As kids, we went to the movie theatre in Oakland on Saturday morning to see the westerns. Remember the trains he and Uncle Elmer set upstairs that we played with all day. Running up and down the alley with the neighborhood kids on Arter St. Lots of good memories! Will miss him. Our hearts are heavy with the loss a such a great man. Having known Gary for the last 45 years was truly a blessing. I have so many pages of thoughts running through my mind I can't even start to express. For the family and friends already know what a great and inspirational man he was/is, I don't need to remind you. We have nothing less than the upmost respect for this man and his family. It is our pleasure to have called him our friend. I shall strive to be half the man Gary was. We have all been blessed having Gary in our lives, now try to find peace in his rest. We love you guys and feel your pain. You did good Gary !!! Love Tom and Patty. Thank you for all the wonderful memories. Galen and I were both w/o fathers and Gary was the father figure in our life ready for a thump when we needed it or to include us in camping or sledding as if we were a part of the family. (Even letting us sneak a Shasta once in a while) :) Peace to the family and cant wait to see him walking tall when its our turn to be greeted.